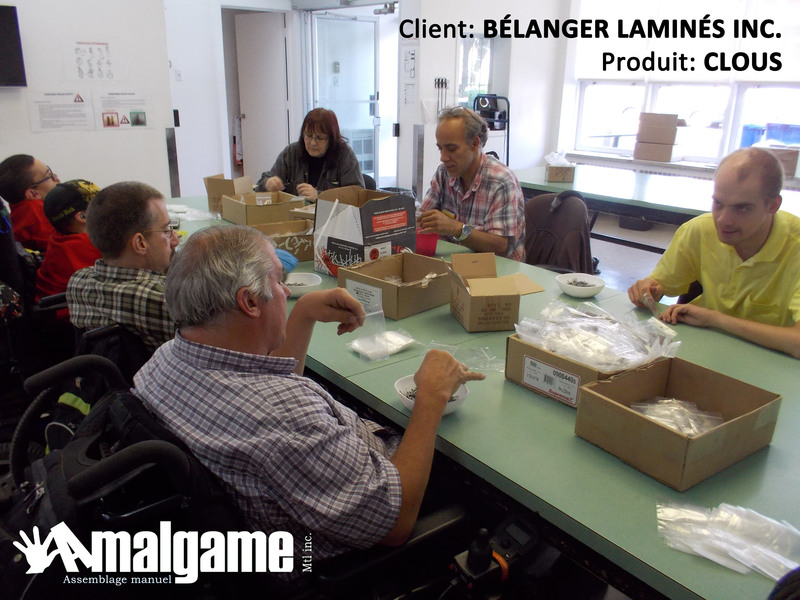 OUR SERVICES – AMALGAME MONTREAL INC.
Amalgame specializes in everything you can do, but do not want to do… Be proud to support an organization inspired by people with physical disabilities who are willing to empower themselves! Assembly and packaging : we are able to mount food kits, to label various containers (bags, bottles), etc. We also assembly hardware parts and kits, tablet computers supports… We put together and package anything that can be processed while sitting at a table!